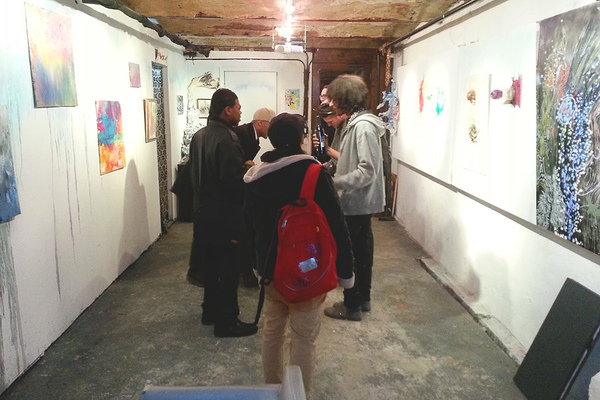 Art collective w/ dedicated gallery & shared artist workspace. 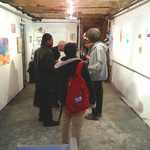 Public galleries on Wed. 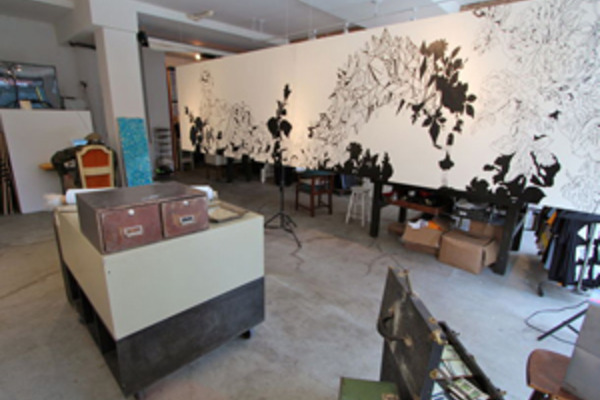 Started in early 2010, Con Artist is an Art Collective with a Dedicated Gallery and Shared Artist Workspace. All items available for sale are made by or curated by members of the collective. 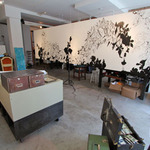 75% of the sale price of everything goes directly to the artist. We are open to the public for our gallery shows every Wednesday Noon to Midnight, and our regular Wednesday Gallery Nights start at 8pm. 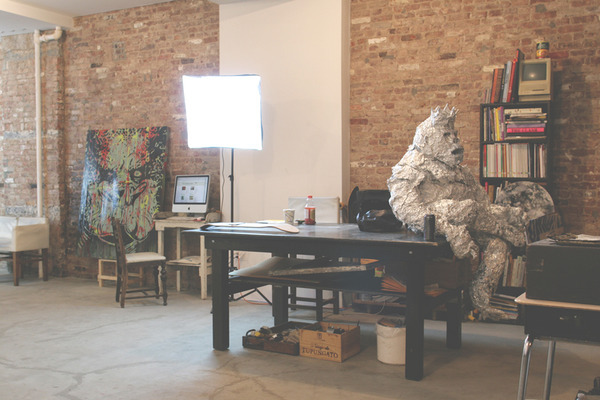 The shared artist workspace is open 24 hours a day, 7 days a week. Email or fill out our Join the Collective form to schedule an appointment for a tour. Most members join Con Artist and gain access to our creative workshop. We currently have a 4 color silk screen press, light table, photo studio, professional lighting, power washer, drop sink, multiple sewing machines, hardware, equipment, computers, software, tools, space, community and more. As well, members gain the opportunity to sell through our website, at our festivals and events, and take part in gallery show. This gives you one dedicated day per week of a full 24 hours access. For those who work the day time hours, this plan gives you 6 days of workspace access from Monday through Saturday from 11am to 7pm. This is for the all day/everyday worker. At a little under $8 a day you get 24/7 access 365 days of the year. - 6 hours of scheduled shooting time, guaranteed, at either the Soho or Brooklyn locations. This includes the option to use their available photo equipment at no extra cost plus the option to purchase extra hours if required. - 8 hours of scheduled shooting time, guaranteed, at either the Soho or Brooklyn locations. This includes the option to use their available photo equipment at no extra cost plus the option to purchase extra hours if required. *Recurring Plans do not require a deposit, just a 30 day move out notice. Storage options range from $8-$35 per month.